The Descendant Sign in the Birth Chart is the opposite sign of your Ascendant, or that which was descending under the horizon at the exact moment of your birth. Each of the planetary bodies in our solar system reflects a specific natural urge, so when combined with the energy of the Zodiac Sign it was in, we obtain insight into our essence in this lifetime. The Descendant Sign in your Birth Chart is significant because it is the opposite reflection of your Ascendant (or “Rising”) sign in the birth chart. Your Ascendant sign is the third most important sign, right behind your Sun and Moon signs. As we discussed in the Everything You Need to Know: Natal Birth Charts article, your birth chart is a mathematical calculation. It pinpoints the positions of the planets, and what zodiac sign they were in, at the exact time of your birth. In this article we will give a brief description of what your Descendant Sign determines in regard to your personality and character traits in this lifetime; this is the sign that will unveil the most about your preference in romantic partnerships and relationships. The Descendant Sign can be described as our “shadow side.” Since our Ascendant side rules our direct experience, (being the astrological filter of how we project ourselves/how we experience the world), our Descendant Sign basically reflects everything that we are not… but may gravitate toward in others and in life over and over again. This sign, which forms the cusp of the seventh house, will help reveal the qualities that we disassociate from, or repress from our consciousness and refuse to acknowledge exist within ourselves. However, we are drawn to the qualities of this sign in people we meet and relationships we cultivate because, well, opposites attract. We see ourselves as the “Ascendant,” but others may see us as our “Descendant.” By attracting those people into our lives who embody our Descendant Sign ways, we are able to merge the two together and face the parts of our being that we may not want to own up to, thus making ourselves more complete and balanced. 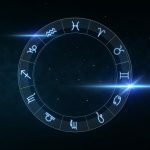 Though your Descendant Sign is not talked about as much as your Ascendant, or “Rising,” Sign, if you know your Ascendant you can easily figure out your Descendant Sign. It is the opposite, or 6 Zodiac Signs away, from your Rising Sign. You can look to your Descendant Sign to uncover what it is you look for in a partner, or romantic mate. It will show you what you are most attracted to when it comes to commitment in love and your sexual relationships. Below, you can find the Descendant Signs and their related Ascendant signs. These will never change, and are always on opposite ends of the zodiac spectrum. So, for example, if you are an Aries Ascendant, you will also possess a Libra Descendant. This will never vary, and more than likely your innermost desires of what you find attractive in a mate will be reflected in those with Libra-like ways.